When making an offer to purchase a property, sellers want to know that you will be able to get a mortgage before accepting your offer. When an offer is accepted by the seller the property is taken off the market while you are applying for your financing and if eventually you can not qualify for finacing and back out of the transaction the seller would have missed other opportunities to sell. Information about your debt, income, and assets are collected. Credit score is obtained by running a credit report. Based upon this information and the needs of the customer, a loan product is determined. Then a pre-qualification letter is issued indicating the amount the customer is pre-qualified to borrow and a general idea of the monthly payment. It is NOT a commitment by the lender nor does the estimated monthly payment include PMI (Private Mortgage Insurance), taxes, or insurance. These amounts are determined after a specific property is selected. This is the minimum step required to submit an offer. The process to get pre-approved is the same as if you are applying for a loan. You must fully complete a loan application (1033), document your income and savings through bank statements, W-2s, tax returns, and have your employment verified. All this information then gets reviewed by an underwriter. The underwriter then states what you can borrow. Being pre-approved gives the seller a higher level of comfort that your financing will receive final approval. 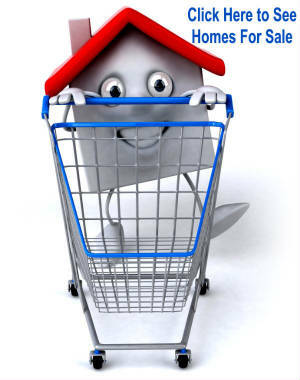 Please be aware that some sellers require pre-approval as opposed to simply pre-qualifying. Final approval for your loan is made once a specific property is determined and the buyer and seller have finalized the contract. At this point the lender can give you a final monthly payment including Principal, Interest, Mortgage Insurance (if required), Homeowner's and/or Flood Insurance, and taxes. You should also keep in mind that Condominiums and some Townhomes have a monthly Condo Association Fee and single family homes located in certain areas may have a monthly Homeowner's Association fee or be located in a special taxing district to pay for community expenses such as street lights, entrance gates, and community landscaping. Ask your REALTOR® if there are Association fees for the property you are looking at.